In the streaming rain, I visited Heian Jingu Shrine which is one of the most famed places for beautiful Sakura blossoms in Kyoto. 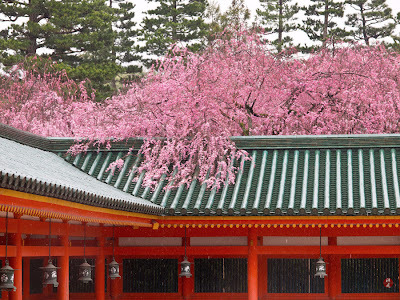 Beyond the green tiled roof of the vivid vermilion corridor of the shrine, the full-blown pink blossoms of Shidare-zakura were drooping heavily in the soaking rain. 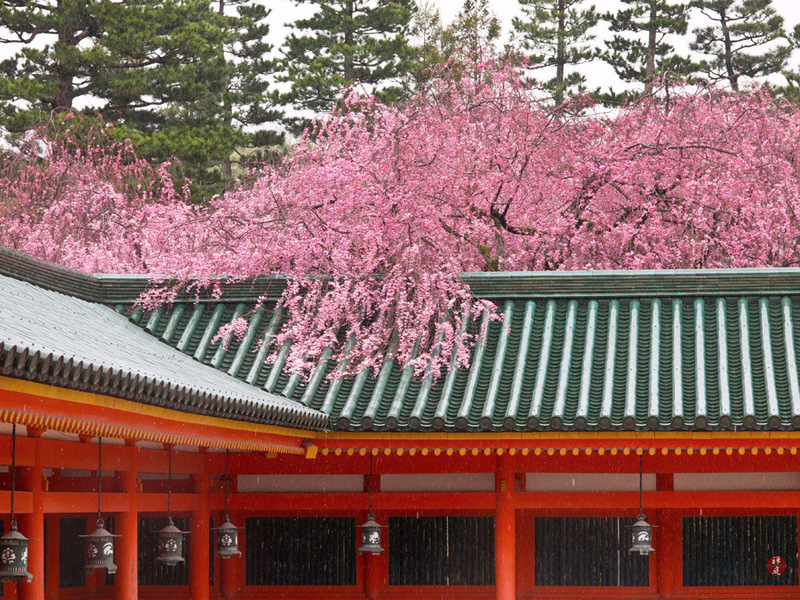 The magic of that spring rain in Kyoto made me wake to the other beauty of splendid Sakura blossoms.